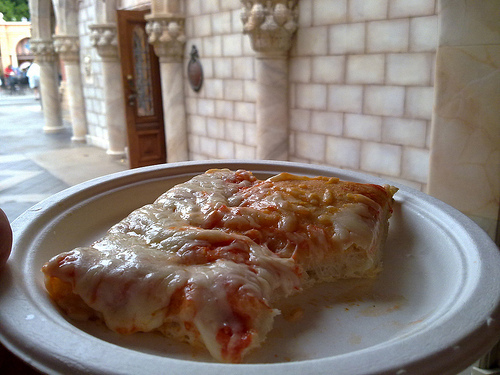 I love about ALL pizza but that doesn’t even look good…toooooooooo thick! I am so glad you shared this with us! We thought the pizza at the window would be the same as the amazing pizza inside. Now that we know that it’s not, we won’t be planning on stopping there for a lunch break.